In a short span of less than 40 years, Swami Vivekananda accomplished and achieved so much, but he too had a human face. This human aspect of failures and frustrations was probably most marked during his visit to USA. We are aware of the Parliament of Religions at Chicago, which Swami Ji attended. But that was not in fact the primary reason for Swami Ji to visit America! Indeed this journey, as it turned out, was very ill conceived and ill-planned! The trip to USA however became most successful and memorable because of his inherent highest degree of spirituality and determination. After the passing away of his master and Guru Sri Ramakrishna Paramahansa in 1886, Swami Ji undertook extensive travels all across India with the idea of establishing various centers to propagate the Hindu Vedanta spiritual teachings in the same manner as the master had done during his lifetime. He soon realized that economic poverty of the masses needed more attention and he would not be able to procure enough funds to organize the Vedanta centers as he had planned. America had already become the land of plenty and beacon of hope for the entire world. Swami Ji then decided to come to USA to acquire money for his project. Little did he know of all the trials and tribulations that were waiting for him in this expedition! The problems started before he even left the shores of the country. There was not enough money to sponsor the long voyage. Those who had promised help earlier soon backed out. In the end, and rather in hurry, a prince donated some money but not enough. When Swami Ji arrived in America after a long ship journey, he was rather dismayed that he was left with only a few dollars to manage his stay and food. An old American lady then came forward and took him to her home. His accommodation and food were taken care for the time being. He also had no references and proper letter of introduction to any important person in USA. His credentials too were not sent here, although he had become quite well-known in India. Swami Ji soon understood that it would be nearly impossible for anyone in America to trust him without such references! Another gentleman then helped and got him registered at the Parliament of Religions to be held at Chicago and also introduced him to some prominent organizers of the event. After his famous speech, beginning with the defining words, “Brothers and Sisters of America”, everything changed. Swami Ji became overnight a national hero all across America. His speech was adjudged as the best piece of oratory in the Parliament. Invitations poured in like a storm, both for the formal talks and high class society dinners. As per the custom in USA, the formal talks were ticketed and were heavily booked. Swami Ji in his enthusiasm and with the idea of collecting as much funds as possible for his project of establishing the Vedanta centers in India, signed up large number of talks without realizing the consequences. So also he accepted and committed for many society invitations. Soon however he had to face many difficulties! Little did he know that he would receive only a small paltry sum of money from the big amount collected toward the formal talks. Most of the money was taken away by the unscrupulous agents and toward other expenses like rent of the hall etc. This naturally frustrated him. The evening dinners posed another kind of problems. Although these rich and famous people really loved and respected him, they were essentially social elites. They would rather use Swami Ji also like a social toy! They would brag about him to their friends and contacts, inviting them, “The famous Swami Vivekananda is staying with us. Please come and join us for dinner with him. He will also talk on ….., which will be followed by a Question and Answer session.” Often it would happen that Swami Ji had to deliver one formal talk (with tickets) in day time and later in the evening he would have another big gathering in the social circles. The evening sessions, coupled with rich food, would extend to late hours up to 11 or 12 midnight, occasionally stretching to 2 O’clock in the morning! Not infrequently this would be the pattern of his engagements for all seven days of the week; he had committed beyond his physical capacity! This fast living style was quite un-natural and stressful to Swami Ji; he was severely stressed both physically and mentally. His health was caving in and he also realized that these talks were becoming rather monotonous and mechanical. He was even running short of subjects to talk on. Not all the listeners, he felt, were really interested in the spiritual instruction. He soon had some more problems to deal with. The Christian ministers, who had initially not taken much notice of him, now became rather apprehensive. With his growing popularity all across the country, they worried if he would convert large chunk of people to Hinduism. They spread unfounded rumors about his intentions and secret plans. But much more hurtful trouble was created by his brethren from India, rather from his very own Bengal! One Mr. Mazmudar and some other Brahmo Samaj leaders had come and settled earlier in USA, and established a good rapport and reputation with local people. Even they became rather jealous of Swami Ji’s fast spreading fame. They gave most shameful and reckless statements, casting severe baseless charges on his personal character and other aspects. They even sent these bad reports all the way to India, where again the newspapers published these stories, without confirming, in the usual fan-fare style. Swami Ji was naturally much hurt and stressed; these reports indeed even caused a temporary setback for him. But he was most bothered about his old mother in Calcutta. He thought she had already sacrificed so much by giving away her son for the religion and now she had to bear with all these false and malicious gossips in the newspapers. All this would easily break the back of an ordinary person. But Swami Ji was not an ordinary person. He was a man of great courage and conviction. He was a man of determination and perseverance. He was the man who gave the call, “Stop not till you reach the goal!” But beyond his personal attributes, he had utmost faith in God and in his master, Sri Ramakrishna Paramahansa. He was a highly spiritual person and had the intuition that since he was walking on the path of truth, he would receive the divine help, and in the end he would succeed. Swami Ji had two other great qualities also. Even though the Christian ministers and the other Indian men had spread so many wild and false rumors about him, he maintained dignified and saintly silence. When confronted he only blessed those people that God may show them the right way! Soon the magic did happen; some of the persons who had earlier talked so much ill about him came forward and apologized. The public at large also realized the true worthiness of Swami Ji; his image only got more enhanced and glorified. He also demonstrated extreme degree of adaptability in America. He mixed with his American devotees very freely; he talked with them, joked and participated with them in all their activities at their call. He even sea bathed with them in summer and got swim wear for the purpose. Sometimes he would crave for his simple food of rice and lentil but instead ate all what his devotees offered without any complaint and demand! He was now ready to chart on a different course of action. Swami Ji felt in the heart of his heart that it was not proper for a Sanyasin like him to give talks for money even if these were for a good cause. After finishing his earlier commitments, he rather concentrated on smaller crowds of those who were genuinely interested in the spiritual teachings. In the process, he collected a huge circle of dedicated followers and friends. His truly spiritual nature attracted persons of various professions and arts, men and women—all of them would later form a formidable foundation for the work that he had undertaken. Long after he was no more on this earth, they would continue to pour money and all other sources to keep his mission alive and active. Three Americans in fact accompanied him all the way to India when he finally returned to assist him in writing his famous memoirs as also in many other projects. Swami ji started couple of the Vedanta centers while he was still in USA, but more work continued after he left the shores of the country. Blessings of Sri Ramakrishna worked, miracle of God worked, his faith was fully vindicated. Truly Swami Ji has remained more active after he left his mortal body than when he was alive; only a few weeks back, a visiting chair was created in his name in the prestigious University of South California (USC) by Dharma Civilization Foundation at Los Angeles. Swami Ji did not dominate nor did he beg; but he pulled and attracted people by his simplicity and spiritual qualities just as Lord Krishna did in the ancient times. On his way back, he stopped for few days in England to supervise the work being carried out there. During this period, he met Prof. Max Muller and few other Indologists. Previously Swami Ji had, like many others, somewhat negative impression of Max Muller. But after meeting with him personally and discussing freely many different topics of mutual interest, he was fully convinced of his sincerity and honesty. He realized that the professor had devoted his entire life toward reading, studying, translating, and writing major commentaries on ancient Hindu scriptures. 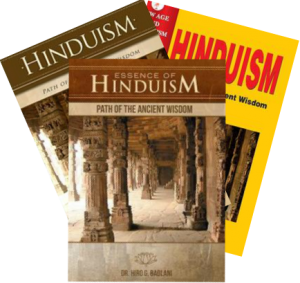 These sacred writings then became available to the world at large, including to Hindus themselves, who had hitherto hardly any access to these! Swami Ji then wrote that he wished he had half the love for India as compared to what Prof. Muller had. Later he even went to the extent of saying, “I wish I had one-hundredth of the love as compared to what Prof. Muller had!” This was indeed very typical of Swami Ji. He was never rigid and dogmatic. He was always gracious and most generous to recognize goodness in others. He would instantly forget any past mistakes that might have been committed earlier. He always had a positive outlook and nurtured love for others beyond measure!